(shown with beef enchilada, burrito, taco, and tostada) FOUR ITEM COMBINATION. 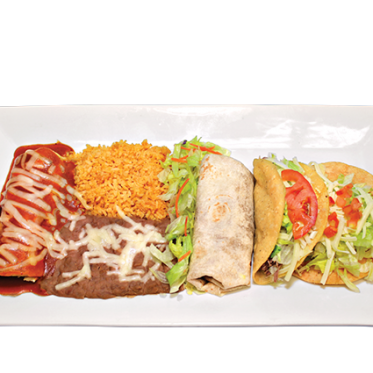 Your choice of four of the following items: Enchilads, tostada, tamale, taco, sope, burrito, relleno. Served with rice and beans.